If there is one thing I love, it is a plate of creamy chicken Alfredo made with an authentic Alfredo sauce recipe. No jarred sauce for this girl! Maybe it’s just me but jarred Alfredo sauce tastes bland and often burnt no matter what you do to spice it up. Olive Garden is far too expensive though to eat on a regular basis so for me; that meant I had to come up with the best chicken Alfredo recipe I could. What came out of the pot was this absolutely amazing recipe that tastes exactly like the chicken Alfredo recipe from Olive Garden! There is something truly comforting about a plate of pasta with moist chicken chunks and a creamy, decadent authentic Alfredo sauce. Seriously comforting and oh my…so very, very good! This is one of my favorite dishes to make (okay, aside from my Grown Up Tuna Noodle Casserole) and you would be surprised at how easy it actually is to do! The secret is really in the fact that the Alfredo sauce recipe below is an authentic Alfredo sauce. I’ve seen the shortcut recipes, but they just don’t hold up for my family and I. This alfredo sauce recipe is also amazing in my chicken Alfredo lasagna if you’re looking for another pasta recipe! 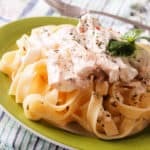 This creamy chicken Alfredo is so close to the original recipe for chicken Alfredo from Olive Garden, you truly won’t believe that it is copycat recipe and not the real thing! My family actually thinks it tastes better than Olive Garden! I know; blasphemy, right? It’ll be okay. Try my authentic Alfredo sauce and it’ll all be okay. As I said earlier, this creamy chicken Alfredo is so delicious because of the sauce. Fortunately, this copycat Olive Garden Alfredo sauce is actually really easy to make. As you look at the recipe and directions below, you may feel a bit of apprehension. Despite how complicated it may look; the sauce is really easy to make. 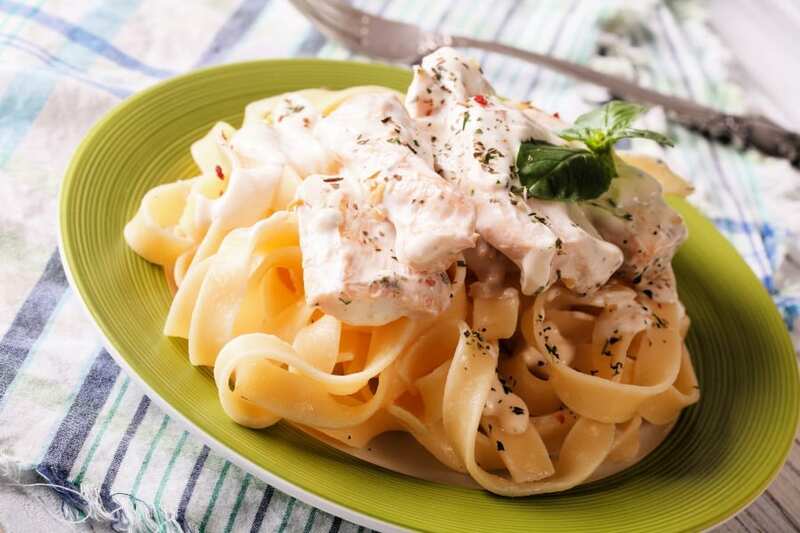 Before you begin making your own chicken Alfredo sauce, you’ll want to understand what makes it appear so complicated. The heavy cream can scorch very easily. That’s really all that makes it look as if it is harder than it is. Don’t let that fool you into thinking that you can’t make it though. Be sure to keep an eye on the cream when you get to that step and you will make the best chicken Alfredo recipe you’ve ever made! The easiest way to keep your copycat Olive Garden Alfredo sauce from scorching is to work ahead and to work quickly. Basically, you will want to be working on the next step as the one you’re on is finishing up. My copycat Olive Garden Chicken Fettuccine Alfredo recipe calls for Parmesan. Do yourself a favor and use real grated Parmesan instead of the fake stuff in the shaker can. Yes, the Kraft Parmesan shaker can is easier but using the fake stuff will quite literally ruin the taste of your copycat Olive Garden Alfredo sauce. If you can find freshly shredded, using that will save even more, but if not, the stuff in the little tub in the grocery refrigerator section works fine. Just be sure to say not to the shaker! If you’re looking for an easier restaurant copycat recipe, I highly suggest you try my copycat Red Lobster Shrimp Scampi recipe or my Copycat Olive Garden Chicken Gnocchi Soup recipe. Both are amazing along side of my copycat Red Lobster Stuffed Mushrooms recipe, tend to be cheaper and are much less intensive to make. Finally, before we get to the actual recipe, this recipe is the best chicken Alfredo recipe I’ve found because of one reason; the ingredients. In other words, it is an authentic Alfredo sauce which means it is not going to make your list of cheap family meals. The Parmesan cheese, heavy cream and more make it sort of expensive as far as recipes go. For this reason, we keep it as a special recipe around our house. This chicken Alfredo recipe from Olive Garden may be expensive, but it is still far cheaper than heading to your local Olive Garden is. 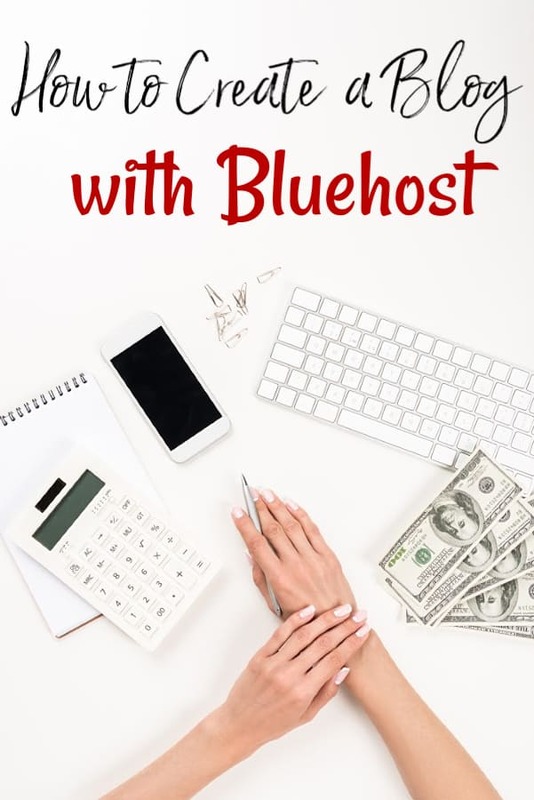 You can trim the cost by making your own homemade heavy cream substitute, buying your chicken breast on sale and watching sale cycles for stock up opportunities for ingredients such as the heavy cream. To start, cook the chicken breasts by wrapping each one in a piece of aluminum foil and sealing the edges tight to form an envelope. Bake on an non-stick cookie sheet at 25 minutes or so or until they are no longer pink and the juices run clear. Cooking your chicken this way keeps the chicken’s natural juices in so that you end up with a piece of chicken that is moist and flavorful with very little effort. I cook mine this way anytime that I need shredded or chunked chicken. You don’t need any seasonings when you cook it this way, but it isn’t going to hurt if you do season it with a bit of garlic powder and onion powder to your preference. 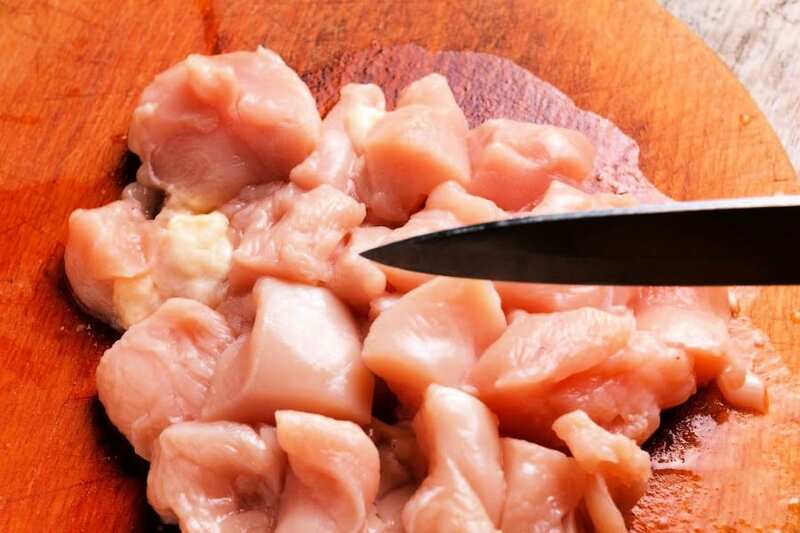 Once your chicken is fully cooked, cut into chunks of whatever size your family prefers. While the chicken is cooking, start your pasta water boiling in a heavy bottomed pot and cook according to the directions on the package for an al dente pasta. Add a pinch or two of salt to help your Alfredo sauce stick to the pasta a bit better. 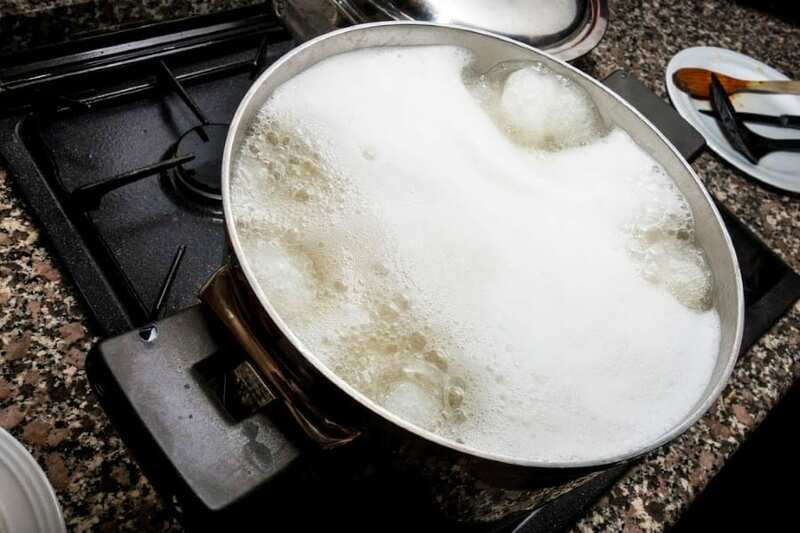 As you boil the pasta, melt the butter for the sauce in a medium saucepan over medium heat. Nothing higher and nothing lower. If your stove only has numbers, 4-5 should be okay. Don’t use margarine in this. Margarine is the devil and well; almost quite literally plastic. Your taste buds and your health will thank you for using the real stuff. Salted or unsalted is your preference, but if I use salted, then I tend to not use any other salt in the recipe so it doesn’t overwhelm. When your butter is melted, add the 2 tablespoons of cream cheese and whisk it around the pan until it incorporates with the butter and is fully melted. Using a wire whisk, keep it going gently to keep it from burning. Once it’s fully melted, slowly whisk in the heavy cream. Don’t substitute milk. Don’t substitute half and half. You must use real heavy cream. I do make a good quality heavy cream substitute sometimes, but I’ve never used it in this recipe. If you try to, do so at your own risk and don’t yell at me if it doesn’t turn out. Add in the garlic powder, parsley and a pinch or three of salt & pepper if you’re using it and keep whisking. Be sure you’re whisking gently. You’re not going for a full stir. You just want a gentle movement to keep the ingredients moving in the pan. Bring the pot to a gentle simmer and simmer uncovered for 25 minutes. If you need to reduce your heat, do so. You don’t want it getting to a full rolling boil. This will burn very quickly if you allow it to. Take it from experience; this chicken Alfredo sauce is amazing, but it smells really bad when it burns so you’ll want to make sure you’re whisking often. I’ll tell you the truth. I whisk it almost constantly. I don’t walk away, I stand there and watch my sauce take shape. Remove from heat and quickly stir in the grated Parmesan cheese. You can stir here. Stirring is okay and widely accepted at this stage. 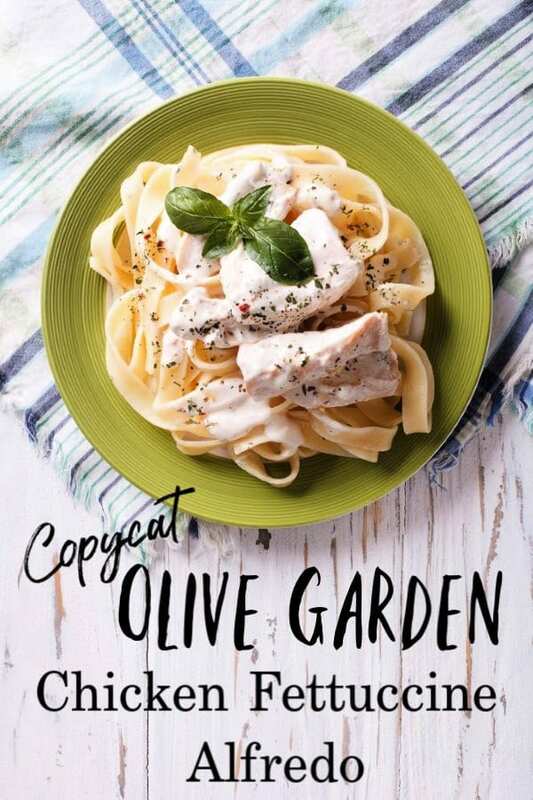 Taste your copycat Olive Garden Alfredo sauce before serving. Taste a small bite to see if your seasonings are okay. If not, adjust as needed. Put the spoon down! I said taste, not eat the whole pan. (You probably could with this stuff). Once you’ve adjusted your seasonings, you’re ready to eat! Plate the fettuccine noodles first then top the noodles with a generous serving of chicken breast. Then, ladle your copycat Olive Garden Alfredo sauce over the top. Garnish with a bit of Parmesan cheese and serve hot! Your sauce may be thin when you get done. That is okay. It WILL thicken up a bit as it cools. As I said earlier, the sauce in this can burn very quickly. That is the main reason that I do not walk away when it is on the stove. Pay attention or your whole house will smell like scorched milk. Romano cheese can be substituted for Parmesan cheese with no issues and you can garnish with a tiny bit of homemade mozzarella cheese as well if you prefer. This creamy chicken Alfredo is also very versatile. You can make chicken Alfredo with broccoli by steaming a bit of broccoli, chopping it and adding it to the sauce after it is done. You may substitute cooked shrimp for the chicken. You can really make this the best chicken Alfredo recipe you’ve ever tasted by playing around with the additions. Mushrooms, veggies and other meats make it even more perfect. Finally, this recipe does not freeze well. Your sauce will separate into some gloppy concoction that just isn’t edible. I wish it did, but that isn’t the case. 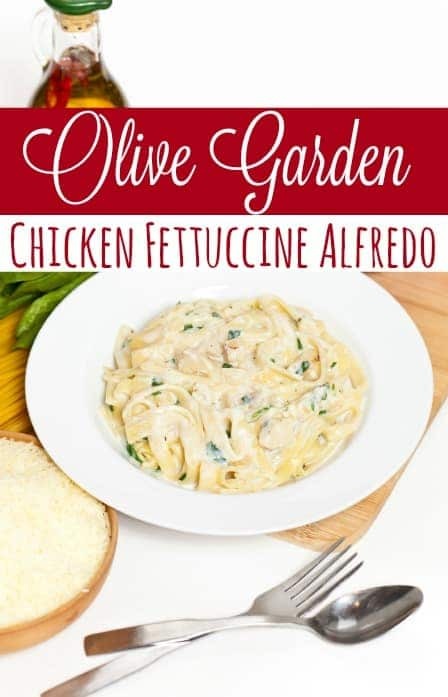 Chicken Alfredo recipe from Olive Garden - Looking for an authentic Alfredo sauce to make a creamy chicken Alfredo to satisfy even the biggest hunger? This copycat Olive Garden Chicken Fettuccine Alfredo is PERFECT! It's the best chicken Alfredo recipe you'll ever eat! Wrap chicken breast individually in foil. Bake at 350° F until no longer pink and juices run clear. Cut into chunks of your size preference. Belt butter for sauce while pasta is cooking over medium/low heat. When your butter is melted, add the 2 tablespoons of cream cheese and whisk it around the pan until fully incorporated and melted. Whisking constantly, slowly add heavy cream. Add in the garlic powder, parsley and a pinch or three of salt & pepper and continue to whisk gently. Bring to a simmer and simmer uncovered for 25 minutes. If you need to reduce your heat, do so. Do not allow it to come to a rolling boil. Whisk often to avoid burning. Remove from heat and quickly stir in grated Parmesan cheese. Taste and adjust seasonings. Once they are to your liking, set aside to allow the sauce to thicken as it cools. Plate the fettuccine noodles first then top the noodles with a generous serving of chicken breast. Ladle the copycat Olive Garden Alfredo sauce over the top. Garnish with a bit of Parmesan or shredded mozzarella cheese and serve hot! What’s the best way you’ve found to reheat this dish? I’ll try it! My problem is that when i microwave it normally it becomes really oily..
Hmmm…I’ve never had that issue. Try the warming it on the stove and see if that keeps it from doing that. Omg!!!!! Thank you for this recipe! This is my first time making it & it is delicious! For sure I making this again. Olive Garden who?! LOL! How many people does this recipe sever? I have a family of 4, in which all eats adult size servings. Should I double the recipe to be safe? Amy, we are a family of 3 and usually only get 1 adult sized serving each so I would suggest doubling just to be safe. At least for the first time you make it anyhow. This was phenomenal. my picky daughter asked me to make it everyday??. Took a little elbow power with a watchful eye as I took you heed to warning in regards to it scortching but it was all worth. Saved in my “Successful Recipes” book. Question, can this sauce be prepared the night before and stored in the fridge overnight.. Have you ever tried that? Hi Tamara, I wouldn’t unless you’re going to have time to stand over it and warm it slowly on the stove. It tends to separate when cooled then re-heated unless it’s done very slowly. We have tried many different alfredo recipes. We really liked this one, and oddly enough, it seemed “lighter” than most, despite the cream. 🙂 We like to bake our leftovers. We simply mix the leftover pasta and sauce, and add extras, if desired — like cooked broccoli or mushrooms. Place in individual au gratin dishes, cover, and refrigerate. When you are ready to eat them, just uncover and bake at 350 degrees for 20 minutes or so….until hot and bubbly around the edges. For another option, you can top with grated cheese and/or panko crumbs. Good to have on hand for quick lunches or suppers, especially for just one or two people. I just finished cleaning the kitchen after this amazing meal. The sauce was delicious and perfect. My sauce did get a little too thick at the end, but I added a little half and half to get it to a better consistency. Really amazing recipe, though! My Girl Scouts are going to try this at camp this weekend! I made your recipe for chicken fettuccine last night. I trippled the recipe to feed about 16 teen aged girls. They absolutely loved it. I made it exactly like you wrote the recipe, I had no problems and it turned out fantastic. Thanks for the great recipe. Aw, I’m glad! Thanks for letting me know! I followed your recipe and instructions and let tell you, Olive Garden should hire me! It came out perfect! Thank you! What temperature do I cook the chicken? If you are baking it, I would wrap each piece in foil tightly (no seasoning) then bake at 350 until done. It won’t need water or anything to keep it moist. It will make its own broth and come out flavorful. I made this the other night & it was SO delicious! Everyone was raving it was the best Alfredo they’ve ever had, even better than Olive Garden 🙂 I used a tablespoon of minced garlic since that’s what I had on hand (sautéed in the butter a few minutes before adding the cream cheese), & the flavor was perfect. Thanks so much for sharing your recipe! I made this for dinner tonight…. It was GREAT!! My husband loved it. Thank you for sharing the reciepe! I’m planning on making this for my husbands birthday dinner. What do you think of keeping it warm in the crock pot for a bit? Kristen, I would think it would be okay but I would be concerned about it becoming too dry. I made this for my family tonight. It was a big hit. Our new fave. It’s the same thing Karla. Just worded differently. You could put it all together without too much issue. Wondering about other cheese substitutes. I cannot have aged cheeses (migraine thing) and really miss alfredo sauce. Wondering about monterey jack….you think it would work? Monterey Jack should be just fine, but keep in mind that it may change the taste a bit. I tried twice tonight to make this and when I put the cream cheese in, it broke down into tiny balls, separated or whatever it is called. Never became creamy. Can anyone tell me what I did wrong? Jeanette, were you using cream cheese that had been frozen and thawed? I’ve never had that happen when I have made it, but if your cream cheese had been previously frozen, it would have changed the consistency of it and possibly caused the change. I tried this recipe today. Best I’ve ever made! On the first try it came out perfect! Followed your direction to the T and yessss! Lol..my new forever go to recipe for Chicken Alfredo. Thanks for sharing this recipe! God bless! What temp do we cook the chicken at? Melissa, if you’re baking it in foil, I would do 375° or so. I wonder if you could make the sauce in a double boiler, eliminating the chance of it burning? What are your thoughts? I’ve never tried that Colleen, but it might work. The sauce really isn’t hard to make, but it is cream based. All you really need to do is keep the cream from scorching. I am feeding 8 adults and 2 children. Should I double or triple this recipe. I would double it at least, but be careful. I’m not certain how well it will double. I have been using this recipe for a few years now and have shared it with others who have fallen in love with it just as much as we did. Great recipe, it’s going to be one that my kids are going to ask me for when they grow up and move out! I’ve used this recipe for anything that calls for alfredo. I even used it as pizza sauce for a roasted garlic pizza I make and it just makes it phenomenal. Glad it’s a keeper for your family Cassie!